Prevent Corrosion and keep connections liquid tight with Stainless Steel Liqua-Seal Connectors. Prevent corrosion and keep electrical connections watertight under the most adverse conditions with industrial-strength stainless steel connectors. 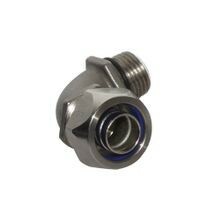 Remke Liquidtight Stainless Steel Cable Connectors are rated IP 68 and NEMA 4X for strength, endurance, and corrosion resistance. All the corrosion resistance you need, with the right materials for reliability. They feature a standard Viton® O-Ring and nylon insulated throat that make them waterproof for wet applications, as well as corrosive environments that deal with oil and chemicals. Our expansive inventory is ready to ship! Corrosion resistance combined with the strength of stainless steel for long-lasting reliability and endurance. 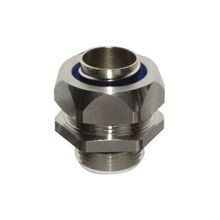 These Remke waterproof stainless steel connectors are ideal for wet locations or those with high humidity. Also ideal for use in dry locations where protection from dust and dirt are critical. Remke Engineered Solutions is entirely focused on meeting the needs of a single customer. Our Job #1 is to develop application-specific, custom Liqua-Seal cord grips and connectors that meet precise specifications.